In this article I am going to present a solution about sending SMS messages in Java for those developers and marketers who think – like me – that SMS is not dead. In this article I am going to present a solution about sending SMS messages in Java for those developers and marketers who think – like me – that SMS is not dead. Using this Java SMS example, you will be able to send a huge amount of SMS text messages from your own Java application with the help of an SMS Gateway. This way, you will be able to integrate a bulk SMS solution into your IT system easily. Before starting the coding, let’s take a look at the present of SMS messaging. Although, nowadays SMS messaging is not the most popular way of mobile communication, but it is still alive. Nay! It is an expressly widely used marketing tool in many countries all over the World such as in the USA, UK, French, Brazil, Spain, Russia, Germany, etc. Although the significance of mobile web and mobile instant messaging (MIM) has grown, according to the experts, web campaigns alone are going to get left behind. In their opinion, unified business communication has never been more important than now. Marketers say that unified approach across all channels is necessary. If a company want to reach their target audience in today’s IT society, marketers will need to develop unified internet marketing strategies. For builing a strong and marketable brand, this strategy should combine responsive web design, mobile apps, SMS marketing, etc., with direct marketing, email marketing, etc. If you still think that SMS messaging is dead, please let me present some interesting facts in this topic. 1. Some 5.1 billion out of the 6.8 billion people on Earth own a mobile phone - that's a huge market. 2. There are twice as many active SMS users in the world than active users of email. 3. On average, it takes 90 minutes for someone to respond to an SMS (by comparison, the response time in case of e-mail is 90 minutes). 4. Around 98 per cent of all SMS messages are opened, but only 20 per cent of emails are looked at. Summarizing, despite the decline of SMS usage among comsumers, businesses still continue to use it for more important, time-sensitive messaging because of its high open-rate. For this reason I have decided to dig deeper in programming bulk SMS solutions. I prefer using HTTP requests and responses if it possible, because this is a simple way to send data from an application to an other one. Since Java has native method calls to send HTTP requests, HTTP provides a great way to send SMS messages to remote mobile phones. The following figure illustrates how my application works. The three main participants of the solution are the followings: your Java SMS application; an SMS Gateway and the mobile phone user. 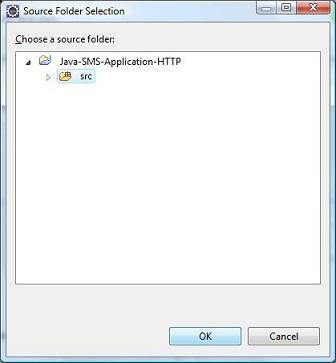 Your Java SMS application: This is a software written in Java that can be used to send SMS messages. A basic SMS application will be described in this article, but it can be freely extended according to your specific needs. 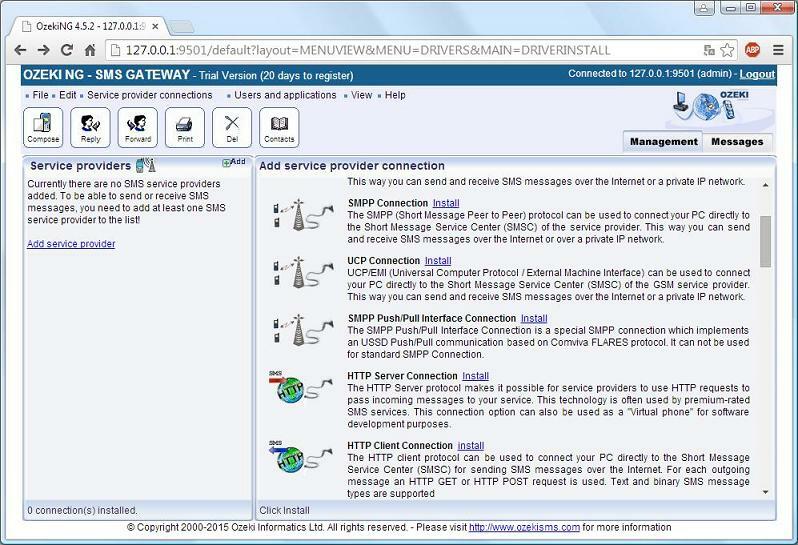 I used HTTP to establish connection between the Java application and the SMS Gateway. Mobie phone user: This is the endpoint in case of sending SMS messages. This is the recipient of the SMS you wish to send that can be your customer, your business partner, a colleague, a friend or any other. The SMS that has been sent from your Java application will be sent the telephone number of this user. 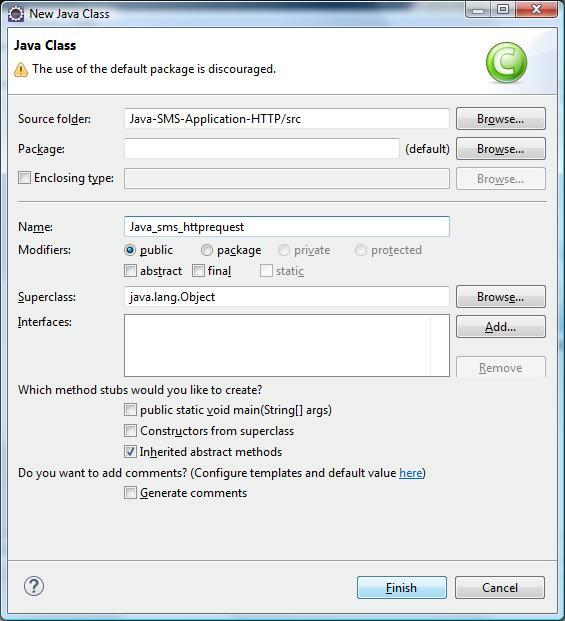 First of all, a development environment is essentially needed (such as Eclipse IDE for Java: http://www.eclipse.org/downloads/). You also need to install an SMS gateway on your PC to be able to send out the SMS messages. To implement this HTTP-based solution, it should have a built-in webserver. To test my application, as it was mentioned above, in this article I used the free trial version of Ozeki NG (it can be obtained from here: http://ozekisms.com/index.php?owpn=112). Now take a look at the main method. Here you need to specify the telephone number of the recipient(s), the text of the SMS message and the sender’s phone number. As it can be seen below, you also need to provide the username* and the password* of the SMS gateway that is used for SMS messaging. To be able to connect to the SMS gateway through HTTP, you need to provide the URL* of the SMS gateway (requestUrl). * How to find out the required username, password and requestURL? In case of Ozeki NG, the default username is „admin” and the password is abc123 by default. 127.0.0.1 should be substituted the IP address or host name of the PC your SMS gateway is installed on. 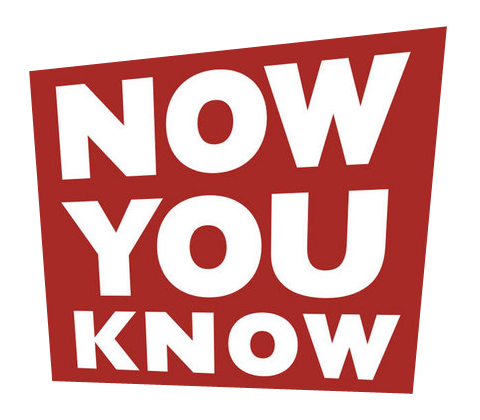 The 9501 is the default port of this gateway. After this you need to add the action parameter to the request (it specifies the HTTP API command). It has only one value: sendmessage. "UUUUU" and "PPPPP" should be replaced to the username and password that was described below. „NNNNN” should be replaced to the phone number that you wish to send the SMS message to. To send text SMS messages you need to use the "SMS:TEXT" message type. The message data refers to the text of the SMS message. It should be written with UTF-8 characters. Other parameters can also be added to the request. For example the originator. It should be replaced to the telephone number of the sender party. If you have any SMS Gateway with service provider connection (and you have contracted with a mobile service provider, such as T-Mobile, AT&T, Vodafone, etc. ), just run the application and wait for the incoming SMS. The SMS will be transmitted through the configured mobile service provider connection. In my opinion you can follow the whole process in any SMS gateway if that creates log files. 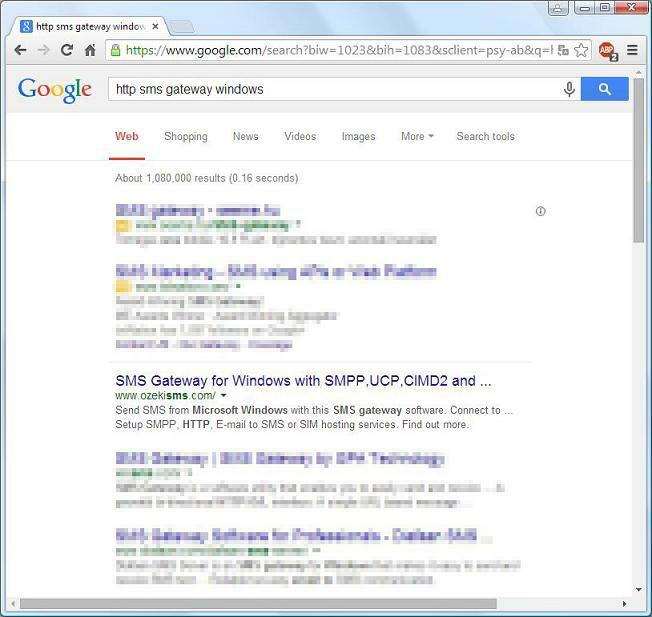 After opening the SMS gateway, click on the „Add service provider” link on the left side of the screen. 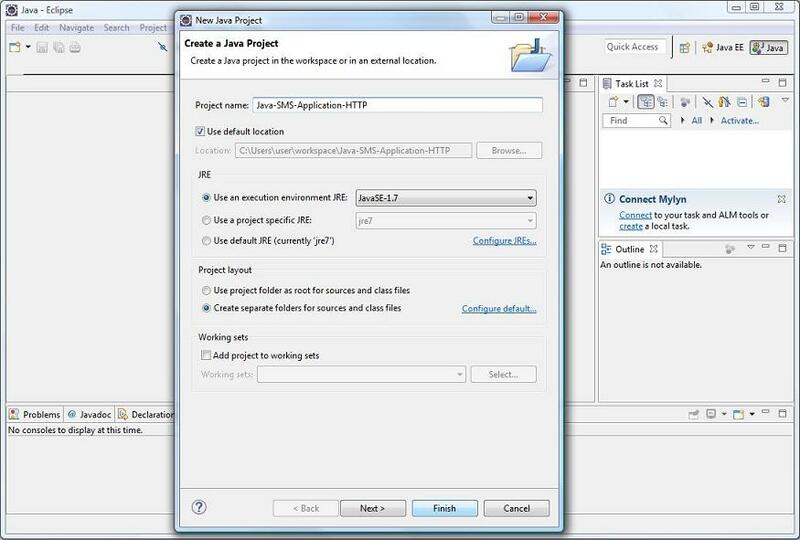 Go back into the Eclipse Java IDE and now you can run the application. 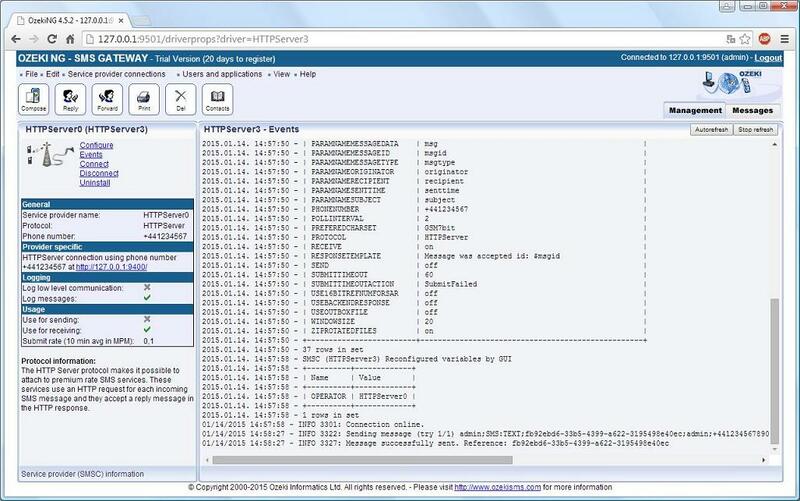 INFO 3322 in the log refers to that the SMS gateway received the SMS from your application. INFO 3327 shows that the SMS was sent to the recipient’s mobile device successfully. If these 2 lines appeared in the log, it means that your application works well, that is your software is able to send SMS messages. Please note that this HTTP Server Connection is recommended just for test purposes. It was just the simulation of SMS sending. It can be perfectly used to test your development, but if you want to send SMS messages actually, you need to install a GSM modem connection or an IP SMS connection.